What Are the Uber Car Requirements in Florida? Uber is a popular option for people who want to make extra money on their terms. However, if you are considering becoming an Uber driver in Florida for the first time, having a car that meets the requirements is essential. Otherwise, you will not qualify to use the platform to find passengers. In most cases, people who are getting ready to start with Uber will be joining the UberX program. This is the basic Uber service. Plus, your vehicle must continue to meet those standards if you are going to drive for Uber, including the age requirements. This means, if you have a 2004 vehicle, you could potentially use it to drive for Uber in Florida during 2019. However, in 2020, your car might not qualify any more, so you would become ineligible unless you replaced your vehicle with something newer that also meets the other requirements. What Are the Uber Driver Requirements in Florida? If you want to drive for Uber in Florida, you need more than just a suitable vehicle. You will also need to meet a few other standards. First, you will need a valid US driver’s license. It has to be a full-fledged license and not a learner’s permit or something similar. Second, you have to be the minimum age to drive in your city unrestricted and have at least one year of driving experience if you are 23 or older. Drivers under the age of 23 need at least three years of driving experience. Third, you need to be able to provide specific documentation. This includes your driver’s license, proof of residency, proof of insurance for your vehicle, and a driver photo. Finally, all drivers need to pass a screening process. Uber will run your driving record and check your criminal history. You can be disqualified if your background check reveals issues that do not align with Uber’s standards. On the driving record sign, this usually means you cannot have any major moving violations, like reckless driving or a DUI, within the past seven years. Additionally, you may be limited to only three minor moving violations during the past three years. This usually includes offenses like speeding or failure to obey certain traffic laws. Having recent accidents also hurts your chances of becoming approved as an Uber driver. For the criminal history, anyone one with a felony, sexual offense, or violent crime in the last seven years is not eligible to drive for Uber. Individuals who are required to register as a sexual offender are also disqualified automatically. Yes, one of the biggest additional requirements is having a smartphone that can run the Uber app. Without that, you cannot connect to the system to find riders. Additionally, if you want to drive for specific Uber services, like UberXL, UberSELECT, UberBLACK, UberSUV, or UberLUX, then your vehicle needs to meet the standards for those options as well. UberLUX – must be a high-quality luxury brand vehicle with a leather or synthetic leather interior. The driver must maintain commercial insurance and have a rating of 4.7 or higher. Model year, condition, and other requirements for the Uber services above may also be more stringent than for the regular UberX service, so it is important to keep that in mind if you are hoping to join those programs. Uber will inspect the details of your vehicle to determine which (if any) programs you are eligible to join. Then, once you are approved for at least the basic UberX option, you can start earning money as an Uber driver. Do you drive for Uber in Florida? Tell us about your experience in the comments below. Automakers like Ford, GM, Nissan, and Chevy have begun announcing cars they will discontinue in the coming year. Many of the companies’ most popular models will no longer be in production starting in 2019. Manufacturers have begun to take these models to the chopping block because the needs of the buyer have changed drastically. So, which cars will fall off the production line this year and what is replacing them? Much of this shift is due to the rise in popularity of SUVs and crossovers. It is estimated that 1 in 2 vehicles that will be sold in 2019 will be an SUV or crossover, according to Edmunds. Both of these vehicles offer more space and a fuel economy much better than it was years ago. Most people seem to be shifting away from compact cars, hatchbacks, and other types of passenger cars. Several of the vehicles on the list of those to be hacked in 2019 are also hybrids. That may come as a surprise to some. However, with gas prices under $3 a gallon in most places in the U.S., many consumers are no longer looking for a break when it comes to gasoline. What Vehicles Are Being Discontinued? Automakers do not discontinue vehicles without putting a lot of thought into it. Remember, automakers invest quite a bit of time and money into marketing and developing new cars. Volkswagen, for example, will be discontinuing the Beetle (for a little while). The 2019 model will be the last one made until smaller vehicles regain popularity. Both the Cadillac CT6 and XTS are being discontinued in 2019. Essentially, both of these luxury SUVs debuted at a bad time for the market. Luxury buyers with that amount of cash are buying SUVs for the most part. Cadillac will also discontinue the ATS next year. It was designed as a luxury sedan that would compete with BMW’s 3-series. However, it could not compete with similar vehicles on the market. This isn’t the first time Chevy has made the decision to pull the Impala off the production line, so don’t be surprised if you see it pop up again. In the current climate, the Impala could not compete with the overall downfall of the sedan in the car-buying world. Another car Chevy is tossing out is the Cruze. Although the car was popular at first, sales have suffered recently due to the boom in popularity of the SUV. The Volt is being taken out of production in 2019 as well. Like many other first-generation hybrids, it never reached the level of popularity GM hoped for. Because of that, GM has switched its focus to battery-powered cars. Like the Impala, this is not the first time Ford has shown the Taurus the chopping block. It may be the last time though. At one time the sedan was extremely popular, however, those days are gone. Another Ford vehicle being taken out of production is the Focus. Like many other manufacturers, Ford is shifting towards SUVs and pickup trucks. As of early December, Ford only had 12,000 Focus cars left. Ford is also discontinuing the C-Max in 2019. The car had a strong start but because of the decline in popularity of vehicles like it and the CR-Z Ford is taking it off the production line. Speaking of the CR-Z, Honda is also pulling the popular car model off the line too. The compact hybrid entered the market just as hybrids were declining. Hyundai is also sending one of its cars to the chopping block in 2019 too. After 2018, there will be no more new Azera models produced. Instead, the manufacturer is focusing on the Genesis. Nissan has announced only one car being put out of production. The Juke is being kicked out for a new crossover called the Nissan Kicks. The popular Prius will be put out of production this year as well. Actually, it hasn’t been manufactured since 2017 but the car is still registering sales. Volkswagen will be putting the Beetle out of production once again. It is one of the most iconic vehicles in history though, so you’ll probably see new Beetles in the future – don’t worry. VW is also nixing the Touareg in 2019. The company plans to continue selling it in foreign markets but it will no longer be available in the U.S. Instead, Volkswagen will be focusing on larger SUV models, such as the Tiguan and Atlas. The car company has plans to introduce new SUV models to the market as well. With the auto industry, goodbye doesn’t necessarily last forever. Many automakers have relaunched popular old models if the time is right. Some manufacturers are doing just that in 2019. Ford will revive the Ranger pickup truck and Honda is bringing back the Passport SUV. Toyota will be relaunching its Supra sports car. So, if one of your favorite cars is getting the ax in 2019, don’t worry. There’s a chance you’ll be seeing it again in the future. 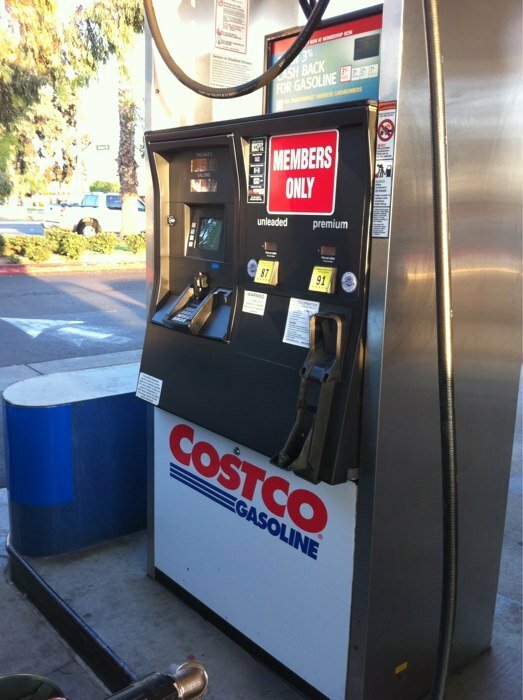 How Do Shell Rewards Compare to Other Gas Rewards Credit Cards? Over recent years, the transportation industry has undergone some astounding changes. The introduction of ride-share companies, including Uber and Lyft, became game-changers in the sector. As of mid-2018, approximately 833,000 Uber drivers hit the road during the prior year, shaking the taxi industry to its core. Now, there’s another disruptor in the transportation space. Two apps, dubbed the Airbnb of car rentals, are creating new opportunities for individuals looking to make money on the side. Plus, they are impacting the rental car industry, putting companies like Budget and Avis in the same position as taxi businesses. If you are looking to make some side money off of your vehicle, here’s what you need to know about the Airbnb of car rentals services. A peer-to-peer car-sharing company, Turo works a lot like Airbnb. People who want to make additional cash for their vehicles can rent them out to users in need. Approximately 250,000 cars are up for rent through the app, covering over 4,500 cities. Turo welcomes a wide range of vehicles, including everything from pickup trucks to sports cars. Turo has comprehensive agreements for both those who put their vehicles up for rent and the renters. This shouldn’t come as a surprise as there is a substantial amount of risk in renting out your car. After all, someone could scratch, dent, or even total it. Plus, there is a chance of theft. There are insurance options through Turo that can offer a level of protection. It’s still important to read all of the fine print thoroughly. This ensures you are fully aware of where various responsibilities lie, including it a renter gets in an accident. Signing your car up with Turo is relatively simple. However, it is important to note that the company can reject your vehicle if it doesn’t meet their standards. If you’re driving a clunker, you likely won’t be able to put your car on Turo. Once your car is on the available list, Turo uses dynamic pricing to set the rate. This means what you can earn fluctuates depending on demand. If you want to offer delivery, such as bringing the car to the nearest airport, you can set an additional fee. As the owner, you get the final say on whether to provide the vehicle to someone who wishes to rent it. This is another reason why Turo is one of the “Airbnb of car rentals” apps, as you can reject a request largely at your discretion. However, all potential renters go through screening processes, including an examination of their driving history to ensure they are safe drivers. If you accept a renter, the Turo app walks you through a handoff checklist, ensuring you complete important steps like documenting the mileage and checking the renter’s driver’s license. After that, you’re typically aren’t involved until the renter brings your car back. Then, you reassess the condition of the vehicle and close out the agreement. Turo deposits your money not long after that. Getaround is another peer-to-peer car-sharing business, allowing individuals who want to earn a little extra cash from a dormant vehicle to rent out their car to someone in need. The app boasts 1000’s of vehicles but focuses on major cities, like D.C., L.A., and Seattle, and their immediate surrounding areas. This service focuses on trips of all sizes. For example, a person who wants to spend an afternoon at a local hiking spot but doesn’t have their own vehicle might rent a car through the app. Other renters, such as those who usually rely on public transportation, can secure an automobile through Getaround to make tasks like getting groceries easier. Like Turo, Getaround has insurance options to mitigate your financial risk. However, you are letting a stranger drive your vehicle, so issues can occur. However, renters are pre-screened for red flags, like prior accidents, to make sure they are reasonably skilled drivers. Additionally, your car has to meet the company’s standards. If your vehicle isn’t in good repair, you might not qualify. Otherwise, this Airbnb of car rentals offers the kind of experience you expect from the service category. You list your car, make an agreement with a renter, and allow them to use your vehicle. In return, you earn some side money. Should You Sign Up with the Airbnb of Car Rentals? Whether renting your car through an app like Turo or Getaround is a wise move depends on your situation. First, you must own a vehicle that you don’t need to drive from time to time. If you rely on your car on a daily basis, this might not be right for you. However, some renters only secure a car for a few hours a day, so it is still worth exploring. Second, when you rent out your vehicle, you are taking a risk. While the Airbnb of car rentals companies do offer insurance, a renter being in an accident is still an inconvenience. While you may have coverage for repairs, you will be without that car while it is in the shop. Additionally, if they total your vehicle, you could be in for a series of headaches along with the loss of a car. After all, an adjuster will determine the vehicle’s value, so you might not get enough to purchase a similar automobile from the insurance money alone. What About Your Personal Car Insurance? Additionally, your personal insurance likely won’t cover an accident that involves a renter. This means you can’t tap that resource to make up any difference. Instead, you are relying on the insurance from Turo, Getaround, or similar company, hence why reading all of the fine print is a must. You can lessen your risk by reading renter reviews before agreeing to provide your car. Similarly, you can contact your insurance company to see if they will also cover any damage. Finally, you need a vehicle that potential renters may find attractive. Pickup truck owners may appeal to people who are moving or need to purchase a large item. Sports car owners could attract tourists or business professionals. If a renter wants to head out camping, then they may look for SUVs to rent. Depending on your type of vehicle, your demand may vary. However, you can always explore this by listing your car and seeing if there is enough interest to make it a worthwhile venture. Ultimately, if you are comfortable with sending your vehicle out onto the road with a stranger, you can make extra money with these apps. But, if you couldn’t survive if your car is in an accident or totaled, this might not be the best money-making option for you. Have you rented out your vehicle on one of the Airbnb of car rental apps? Tell us about your experience in the comments below. Looking for more great articles that can help you make money on the side? Give these a try.